Perhaps not everyone knows that between June and July, our Rose Marie Paliobeis has been in Italy and in particular in Sicily. Her journey began as a 2 week tour to visit Naples, Sorrento, the Amalfi coast and then Sicily, but then Rose Marie, let herself be tempted by another tour offered by Dario Mirabile, the friend of Piero, and so Rose Marie, after having seen the Amalfi Coast, Naples and Sorrento (where for but a moment she did not see the guys at the Agnes prize), she reached Sicily and what is the first picture she send me? It is not possible not to recognize Taormina and the Bam Bar !! Ok, Naro is approaching and Piero is in Naro, because in this period he is doing school exams. And here is the picture that she sends me. A beautiful photo of RoseMarie in the company of Wendy, Joanie, Suzana, Dario and …….. our beautiful and sweet Piero !!! I’m so glad she met Piero (even a little jealous), and she confirms that he’s a very kind and caring young man, he finished the exams and everything went ok. But the meetings do not end here, for the following days, Piero will continue to go to greet our ladies, a true gentleman, will spend a little of his time with them. Here he is in the beautiful photos taken by Suzana Gutierrez of AAIV. But the thing that RoseMarie told me with such amazement was that Piero remembered very well a gift from her. ” I gave him a bent nail when I saw him in Detroit, it was a good luck piece like the ones Luciano Pavarotti collected and he remembered that I gave it to him in blue box. I was so impressed that he remembered because they receive so many gifts on tour. Damn, RoseMarie, this last shot is really amazing, who of us would not like to take a picture with a similar hug? Yes, you were really lucky, a pity that you could not stop until the concert in Taormina ……. but for that there will be a next time, is not it? Credit to all owners of photos. He obtained his superior diploma. Here he is photographed with his teachers who have written really nice words about our dear Piero. As many as 32 students have reached matriculation at our Institute this year. Among them, also Piero Barone, tenor of the trio of “Il Volo”, who showed his brilliant preparation, supported by a fine and lively intelligence, combined with a spontaneous and enviable simplicity. Already a student of our Institute, Piero had to abandon his studies to devote himself to the preparation in the singing art that led him to deserved international successes, which did not upset his character honesty and sincerity of mind. Both the students and the commissioners were happy, as well as proud, to have carried out the operations of the state exams together with the famous young tenor Narese (from Naro). Congratulations Piero, we had no doubt . . . but to see you so happy and to read these beautiful words about you, makes us especially happy! Piero can now relax happily at the sea and in his Naro . . . and indeed, here, at Naro, he met the beautiful American ladies who are doing the tour of Sicily. Piero was photographed by the good Suzana Gutierrez of AAIV. But who do I see in the front row ???? Our ROSE MARIE PALIOBEIS, wow wow ….. how wonderful, a coffee with the company of Piero! We envy you a lot, Rose, no indeed, we are very happy for you!! Even our Gianluca got a good result, his driving license. He bought a small Smart Cabrio car, now he can reach the beach of Roseto, whenever he wants. Surely, will be very happy with this result, even Mr. Ercole!! And here is Gianluca, happy driving his car. Always very nice, our Gianluca !! Congratulations Gianluca, you too have reached a good goal, your longed-for driving license. As usual, of Piero and Gianluca everything is discovered, while instead, Ignazio leaves no trace of himself. In this photo, this girl met him while he was taking a flight (nice pun), but where was he going? Surely in his beautiful Sicily. But when he arrives in Sicily, Ignazio becomes invisible. This video, posted by him, makes us understand that he is in Favignana, the beautiful island in front of the coast between Trapani and Marsala. Certainly he went to relax, in complete tranquility, before facing the concerts. Let’s imagine it like this, just like when he was in Lampedusa, only on the rocks looking at the sea. Ok Ignazio, we respect your privacy, but sometimes show where you are, otherwise we are worried about you. Ok, guys, holidays is enough, it’s time for concerts, it’s better if you come back to start the rehearsals. And here is Ignazio and Piero on the streets of Bologna. In Italy on April 25th it’s a holiday. Liberation is celebrated, so my husband and I left for a short holiday, four days in Rome. These days I saw fabulous things, indeed re-seen, because I’ve been in Rome many times, but every time, I discover something new that I like and that fascinates me. The weather was magnificent, in fact I would say almost summer, but without being suffocating. Beautiful days, with a sky of an intense blue. I returned home on the evening of April 25 and scrolling through Facebook to see if there were any news, I had the great surprise to see some beautiful photos of Rome, posted by the Ginoble family. I had them at hand, we saw the same places on the same day and we did not meet ???? Instead it was just like that, but let’s start from the beginning. Since April 25th is a national holiday we included a visit to the Altar of the Fatherland, where our President of the Republic would present the laurel wreath to the “unknown soldier”. And here’s what Ercole Ginoble has posted, the ceremony at the Altar of the Fatherland. But I was there too, here are pictures with the police in full uniform who are preparing for the tribute to the president. Then I went to see the beautiful Trevi Fountain, magnificent, so white, so full of people. But what do I see? Also Mrs. Lenora Ginoble has posted the photo of the Trevi Fountain. I was there too!!! But we have not seen each other. Continuing on Via Condotti, we arrive at Piazza di Spagna, beautiful in these days, because the steps of Trinità dei Monti are literally covered with azaleas. Once again, Mrs. Ginoble posted a beautiful picture. Really nice with the fountain of Barcaccia in the foreground …….. but once again I was there too !!! And what do I find out? Ernesto was there too with some friends. What a misfortune, I did not see any of them …….. but I saw a beautiful city, so I’m so happy. I do not know what the Ginoble family has done yet, but I have continued my nice ride. The Temple of Fortuna Virilis. The Temple of Fortuna Virilis is one of the best preserved of all Roman temples. The Mouth of Truth ….. it did not bite my hand !! Wherever we turned, there was something to admire. Then the beautiful Vatican Museums and its masterpiece: The Sistine Chapel. Ok, I admit, I was sorry not to meet the Ginoble family, but then I realized that Gianluca was not with them, and thank goodness, I raised my spirits. I confirm, for those who have not yet seen Rome, it is full of beautiful treasures and monuments. Of course, as promised, I thought a lot about the whole crew while I was in Rome. Yes Jill, you’re right it would have been great to be able to meet all of you in Rome. Hello Rome, we will definitely be back again …… but how many of you were in Rome? Credit is given to Daniela and the Ginoble family for all photos. While we all await the release of the new single, Gianluca managed to spend a beautiful day in the mountains in Fara San Martino, in his beautiful Abruzzo. We all know the deep affection that Gianluca nourishes towards the territory that gave him his origins. Gianluca is very proud of being from Abruzzo and does not miss an opportunity to remember this. Piero and Ignazio often tease Gianluca because he always names Abruzzo, poor man, will feel in the minority against two Sicilians! Gianluca has sent us very beautiful images of this place. The town of Fara San Martino is known above all because it is one of the world capitals of pasta. Pasta De Cecco is produced here. And to finish the day, a visit to a museum. Very well, Gianluca, thanks to your testimonies, Abruzzo has become more and more known all over the world! Credit to all owners of video and photos. During the Easter holidays, as we know, the boys were back with their families. In one of those days immediately after Easter, Piero went to see NOTO, a beautiful Sicilian town near Syracuse. Piero, accompanied by his brother and two friends, wanted to be a simple tourist, but having posted his photo on Instagram, was seen by some students of the school of Tourism. Through word of mouth, they were activated in a very nice positive way, as well as thanks also to their teacher Alessandra Brafa. But here is all explained well by the same words of Alessandra Brafa. When I arrived in this class, the III A Tourism of Matteo Raeli of Noto, the girls had no dreams or, at least, they could not translate them. I asked them that in the nine months to follow, from September to June, they would have to make an effort to find one, to bring their talents to the surface. Today these girls have done more. Known on Instagram of the presence of the singer Il Volo in Noto, they asked me to interview him. They were excited, their eyes were shining, they bounced with enthusiasm asking me to make sure to meet him. The real school I think is the one that knows how to alternate theory with practice, which passes from manuals to people, from the tasks of reality to life, that experiments on the field and looks to the future with hope and certainty that if we start from the dream, in the end what you want becomes reality. Thank you, Piero Barone of IL Volo for courtesy, kindness of manner and elegance of mind. And here is the article made by the students! Piero Barone, the singer of the trio Il Volo, through the streets of Noto . The visit of Piero Barone, has escaped many, but not all. The component of the popular trio Il Volo, spent the morning of Wednesday, April 4, in the streets of the historic center of Noto. 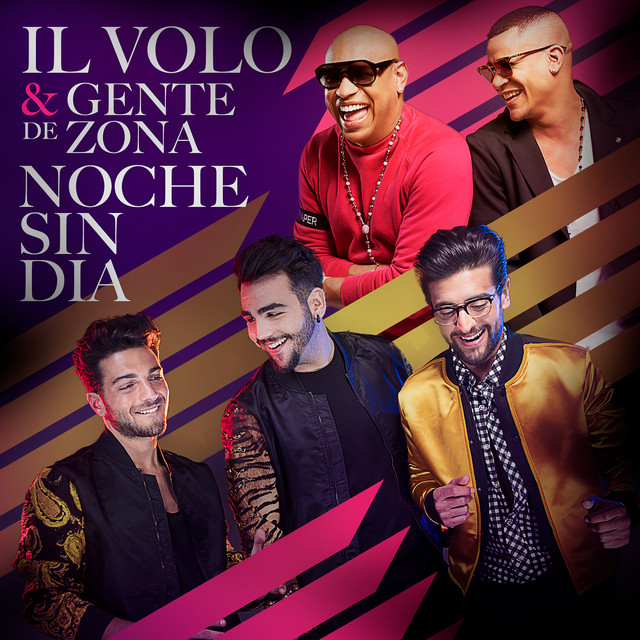 Il Volo, an Italian musical group, made up of three singers Piero Barone, Ignazio Boschetto and Gianluca Ginoble, needs no introduction. And the visit of Piero Barone, the “tenorino” of Naro who enchanted America, in the stone garden certainly could not go unnoticed. To interview Piero Barone, some students of Matteo Raeli di Noto, did not miss the chance to welcome him among monuments of art and notions of history. Class 1993, Sicilian, the internationally renowned singer around noon posted a picture that portrayed him along with his friends on the steps of the Cathedral of San Nicolò: a publication that, in a few hours, has exceeded 10,000 likes. Barone responded with kindness and irony to the questions about his presence in the city. To be in Noto for a walk through the baroque magnificence and because animated by the desire to know the city better, since his only visit to this city had been made to a school trip to elementary school. He added that he was enchanted by the churches and the color of the stone, fascinated by the story of the terrible earthquake of 1693 and the greatness that followed. The students, who in May will be working on the front line in a project to promote the city on the occasion of the Infiorata, invited the singer to take part in the event and he, has admitted that he has already heard about this event and that he aroused not a little curiosity and interest. Barone has, expressed that at the moment he is very busy with the other components of the trio for the upcoming release of the next record. After the ritual photo, he took his leave for Marzamemi, complimenting the great beauty that is breathed in the city and remains unchanged over time. Many congratulations to the students of the III A Tourist address. Many, many compliments to the teacher Alessandra Brafa who was able to seize the moment, for her students. Many, many, many compliments to Piero who proved extremely available. Then the visit of Piero continued for Syracuse and the beautiful island of Ortigia. Did you recognize Piero in the photo? But what are Piero, Ignazio and Gianluca doing these spring days? We follow their tracks and what do we discover? This photo was published in the newspaper “ALTARIMINI.IT“. Piero and Ignazio are located in Riccione, a beautiful and renowned town on the Adriatic Sea. In the article it is said that the two members of the trio Il VOLO took a walk along the waterfront and did not avoid autographs and selfies. After spending a nice weekend at the beach, a day in Milan, destination Sony. Surely there will be agreements for the release of the new album. 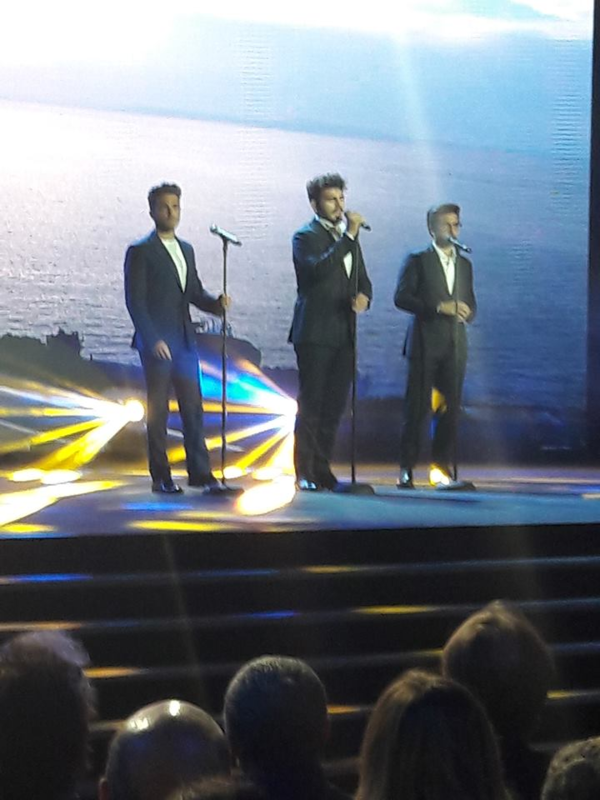 They are all here, no, Gianluca is missing. Certainly he will have had a setback and he will not be able to come. P = What changes the story? DQ (Diego Quaglia, A&R DIRECTOR SONY MUSIC ) = Are the songs that change the story. P = And we commit ourselves. (turned to Ignatius) Igna what changes the story? Gianluca the same day sends us a photo ready for a trip by car, maybe he wants to reach his friends in Milan. In the end Gianluca did not arrive, problems with the car? Easter holidays are approaching. What better chance to return to the family? Piero is back in Sicily. But do not forget his workouts. Ignazio is back in Sicily too. Here he is in a loving video with his sister. I = Finally after a long time, with Ninuzza (loving diminutive of Nina). I = Greetings, today from Trapani, then later from Marsala. ……..what sweets these two siblings !!!! He sends us this beautiful picture. And engages in these beautiful thoughts. In the meantime Ignazio went to visit RADIO 102, a radio station in the province of Trapani. It is a pleasure to know that the boys will be at home with their families for these festive days. But the new album? The release of the new single should be imminent, we hope, we can not wait. One is never too old to learn. How did I miss this amazing looking school along my life’s journey? I want to become a student once again and study at this incredible looking place! My dream/wish is that a group of Flight Crew people would all go over together and immerse ourselves in this beautiful culture, language, and people. To sit at tables on a beautiful patio, surrounded by flowers and country side where you view rolling hills and cypress trees as far as the eye can see, while sharing wine and our life stories with each other. To go to the market together and choose fresh ingredients, then gather around a small table in a warm Italian kitchen and learn the art of making true Italian pasta. To study and have fun learning as a group their beautiful romantic language. I may be a dreamer, but it’s a beautiful thought. 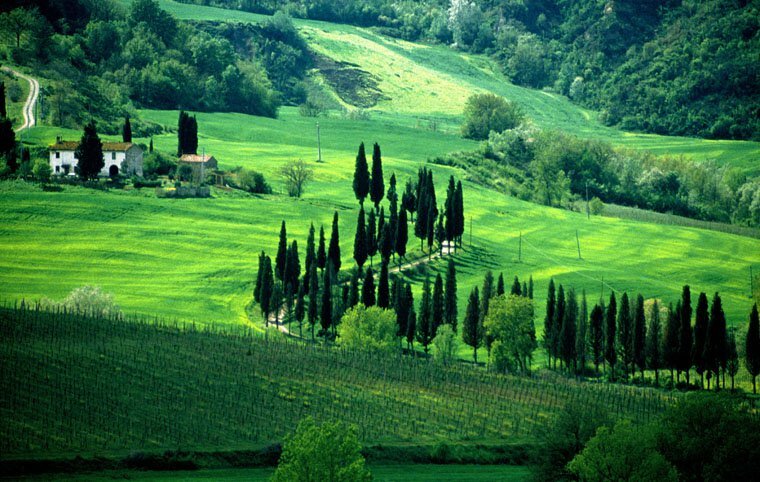 has been running courses in Montepulciano, in the heart of Tuscany. The school offers Italian courses for speakers of other languages studying in small groups and individually. There are six different levels, corresponding to the Common European Framework of Reference for Languages. Il Sasso also runs art history, wine, cookery, literature and current affairs mini-courses, as well as courses to prepare students for the CELI and CILS exams. The school is recognised by the Italian Education Ministry and certified to ISO 9001:2008 standards. It is a medium sized school with a reputation for excellence, and is open all year round. Students of all ages come to study here from all over the world.